The headline in the May 21, 2003, edition of The Arizona Republic read, "Sikh shooting called hate crime." The story began: A Sikh man was shot Monday night in north Phoenix in what authorities are calling an unprovoked hate crime. Avtar Singh Cheira, a 52-year-old truck driver who lives in Phoenix, was shot twice by men in a red pickup near Ninth Street and Bell Road, police said. The Indian immigrant, who has lived in the United States for 18 years, was wearing a turban as he waited for his family to pick him up from work about 9:20 p.m.
"I heard that voice say, 'Go back to where you belong to,' and at the same time I heard that shot," Cheira said Tuesday (May 20, 2003) at a Valley hospital, where he winced with pain each time he moved his legs. When and where: The night of May 19, 2003, near Ninth Street and Bell Road in Phoenix. Summary: Cheira, now 55, said that the shooting put him in the hospital for about 10 days and that he was unable to work for nearly three months. He relied on friends, family and the Valley Sikh community to lend him money to cover truck and house payments while he was out of work. "If they weren't there, I don't think I could stand up again (financially)," Cheira said. Cheira incurred more than $100,000 in medical expenses from the attack and carries nearly $3,000 in debt after the majority of the expenses were forgiven because of his inability to pay. Cheira has since moved to a gated community for more safety, and said to this day he worries about his family's safety. With no arrests in the joint Phoenix police-FBI investigation and a $20,000 reward for information still uncollected, Cheira said he feels that the case has been forgotten. 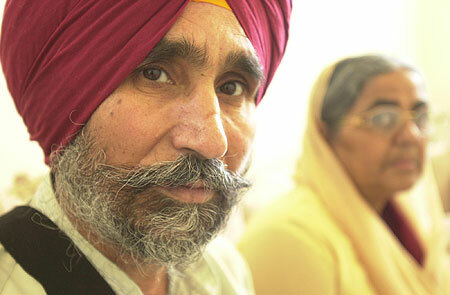 Cheira was the second Valley Sikh attacked after the Sept. 11, 2001, terrorist attacks, and the experience had a chilling effect on the nearly 2,000-member community. Frank Silva Roque was sentenced to death in 2003 for fatally shooting Balbir Singh Sodhi, a 49-year-old Sikh man, four days after the terrorist attacks. GuruRoop Kaur Khalsa, a Valley Sikh community leader, said Sikhs wear turbans as an expression of their faith and can be confused with Islamists because of their appearance. "Really, to this day, you can tell by how people treat you in the grocery store, you can tell what they saw on the news the night before," Khalsa said. Investigators: FBI Special Agent Deborah McCarley and Phoenix police Detective Jerry Oliver. What bothers McCarley most about the case: "These types of crimes don't affect just one individual," she said. "This also has an impact on that community, that minority group." How you can help: Anyone with information is asked to call the Phoenix FBI at (602) 279-5511. Anonymous tips can also be made to Silent Witness at 1-800-343-TIPS. Avtar Singh Cheira was shot by an unknown assailant on May 19, 2003 at 9th Street & Bell Road in Phoenix. In the background (right) is Avtar's wife of 30 years, Surinder Kaurcheira (photo credit: Tim Koors/The Arizona Republic). Hey Fool, go design a T-Shirt!